Cannliv is proud to offer the highest quality full spectrum CBD hemp oil products available. 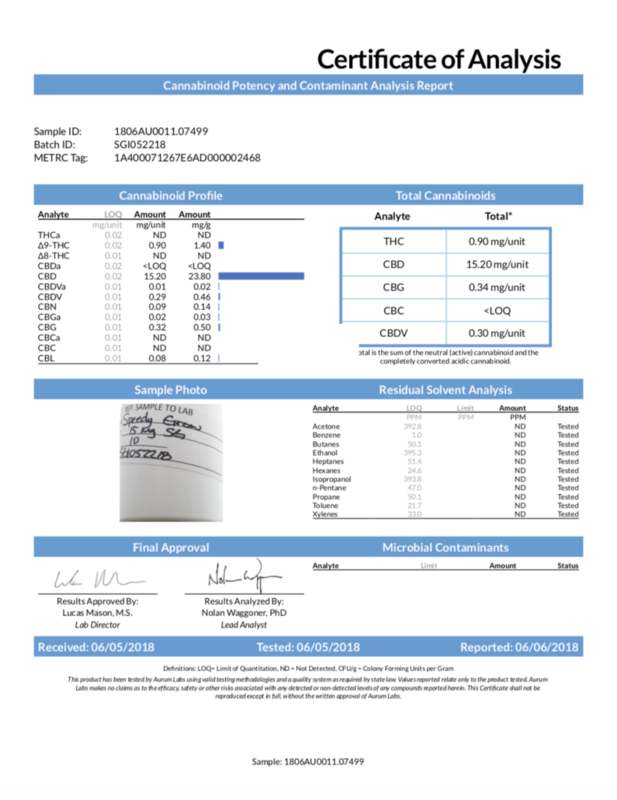 We’re not here to claim our products are the best without being completely transparent and showing the lab results. 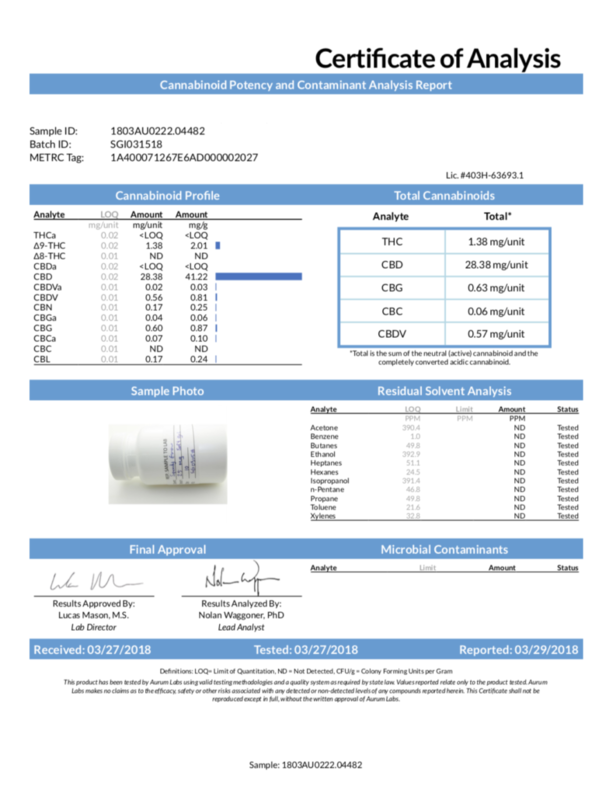 Our advice to anyone looking for the benefits of CBD is to not buy from any company unwilling to show their “current” lab results. 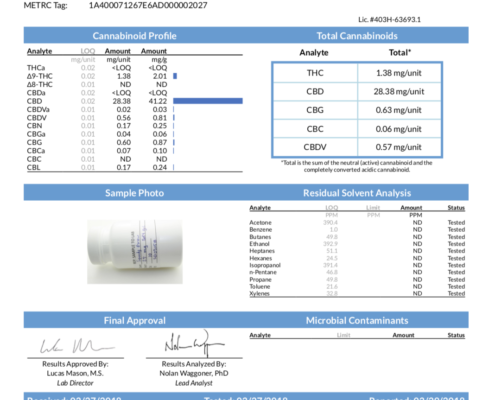 With so much poor-quality CBD in the market and so many deceptive marketing strategies, the only way to truly know what you are purchasing and consuming is to buy from a credible company that displays its lab results with each batch produced. 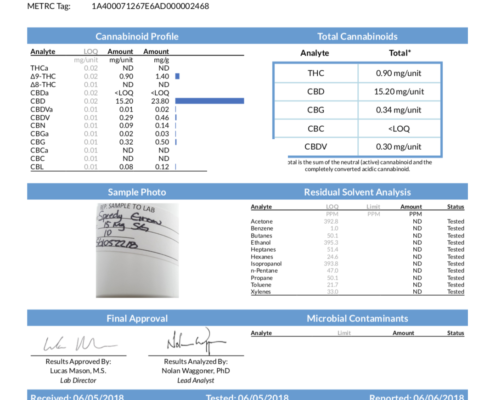 Below are Cannliv’s lab reports. 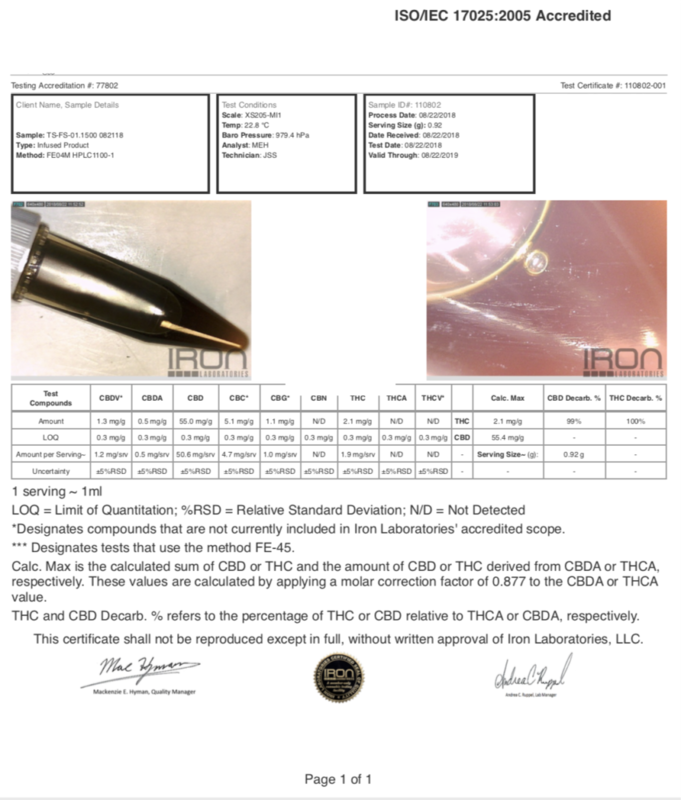 You’ll see tested within the acceptable margin on each test. 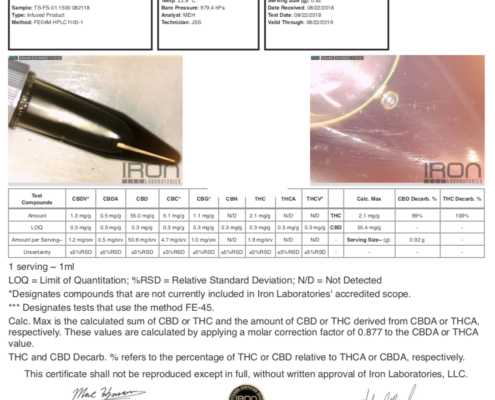 We ensure our CBD content is within margin as the advertised amount on every batch manufactured. If you have any questions call us at 844-923-7877 for additional information.